Excuse me, can I fix your face? Thick brows done wrongly can make a woman look masculine. When buying foundation, try it on your jawline and check the colour under natural sunlight before buying. Applying too much matte and dark eye make-up all around your eyes can end up making them look smaller. Call it an occupational hazard. When make-up artists take public transport or walk down the street, they often feel the urge to go up to unsuspecting women and tell them off for having done their make-up wrongly. 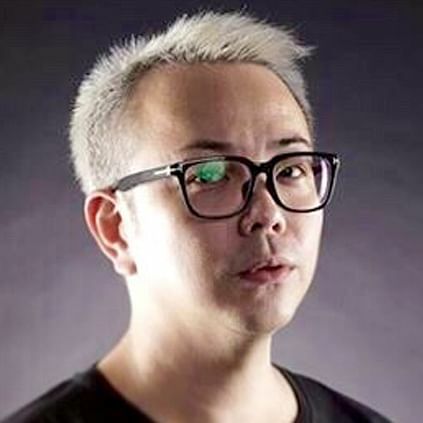 Make-up artist Clarence Lee recalls: "The other day, I was on a train when I spotted a woman with foundation that was too dark for her skin and it was very pink. She had no other make-up on and she looked very strange. I was staring so hard at her that she gave me a look. I really felt like telling her, 'You're wearing the wrong foundation shade.'" Top make-up artists share their pet peeves, along with tips on how to correct these common make-up and grooming mistakes that women often make. 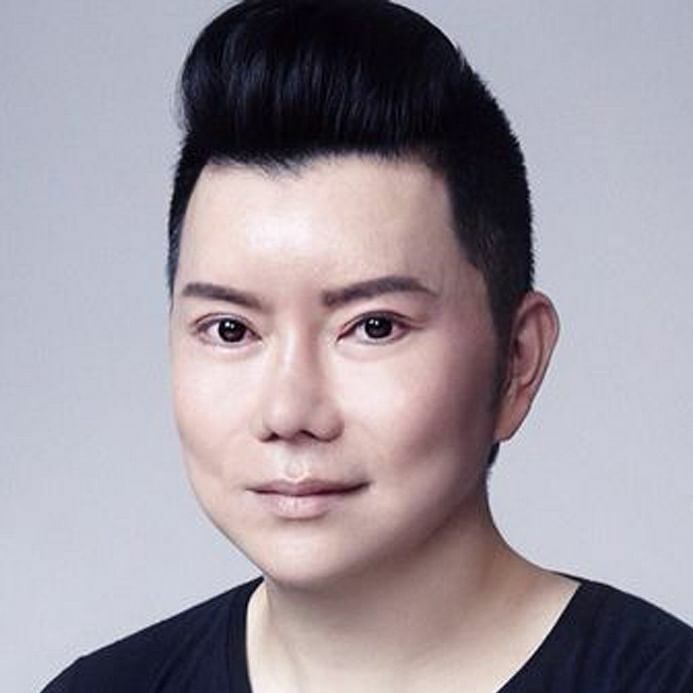 He has two decades of experience and has worked with both socialites and celebrities such as Isabella Rossellini, Ines de la Fressange and Zhao Wei. Also known as TG Goh, he has been in the industry for more than two decades. 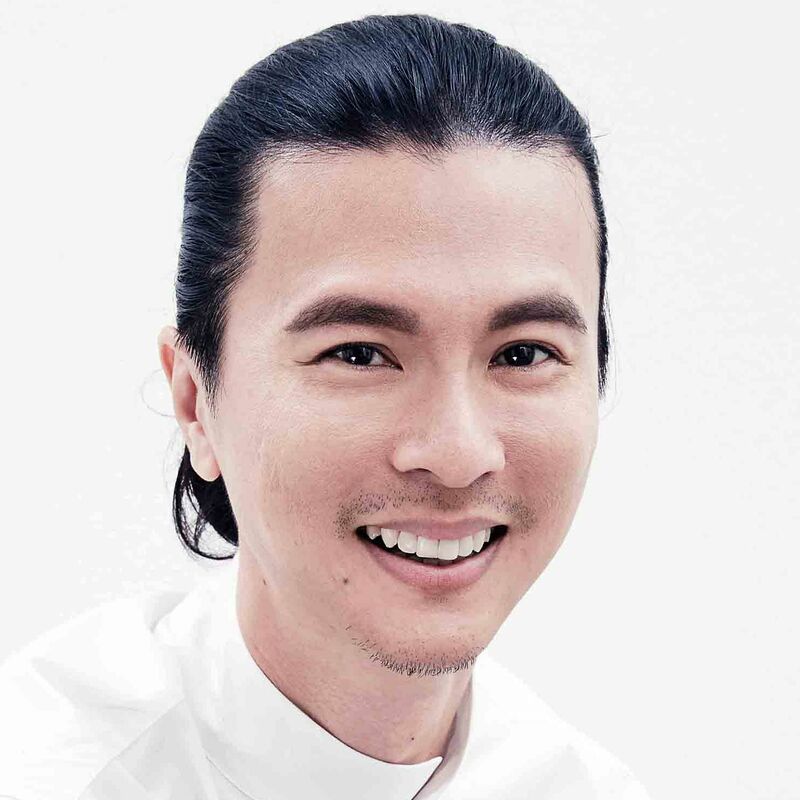 His expertise is in bridal make-up and he has worked with stars such as Gong Li, Michelle Yeoh and Vivian Lai. A regular on magazine photo shoots, he has been in the beauty industry for the last decade. Stars he has worked with include Eva Longoria, Zoe Tay, Quan Yifeng and Carrie Wong. The industry veteran is the go-to expert who often appears on beauty talk shows and conducts workshops with beauty brands. In his 25-year career, he has worked with stars such as Gong Li, Li Bingbing, Liu Wen, Maggie Q and Zhang Ziyi. A regular on film sets - such as the historical drama 1965 and Royston Tan's musical comedy 3688 - she has been in the industry for more than two decades. Mr Yuan Sng: "If the shape of your brows is unsuitable, it can make your face look longer or broader. "Brows that are super-thin and over-plucked can make the face look naked, or worse, like a toad's. "Don't rely on your facialist to groom your brows. They tend to over-pluck because they are focused on keeping your face clean and often don't consider if the brow shape suits you. "Thicker brows make you look more youthful, awake and brighten the face, so you need less eye make-up. "But many women like to go for the super thick, bushy and straight K-beauty brows without considering if they suit their face. When done wrongly, these brow shapes can make one look manly. "Get your brows groomed by a professional - Shu Uemura and Benefit counters are good places to start." Mr Goh Tee Guan: "Some women are so inspired by the super- straight brows of Korean stars, they have them embroidered on semi-permanently. But they don't realise that for those brows to look good, they need to have a beautiful V-shaped face, as well as a slight brow arch to sharpen their features. "Such straight embroidered brows look worse when they are done in a light brown shade that contrasts with one's naturally dark hair. The whole look just doesn't gel. "Draw your brows instead of embroidering them, so you can change the shape and colour any time." Mr Clarence Lee: “When under-eye concealer is too light, it makes dark circles look grey. The effect is the same when those withdarker skin use a foundation that is too light.The right concealer matches your skin colour seamlessly. Ms Dollei Seah: “If under-eye concealer is too light and not blended well with the foundation, you could end up highlighting the area and looking like a drag queen from the 1990s. Mr Benedict Choo: "Many women wear the wrong shade of foundation because they want to look fairer. The foundation colour should match the rest of your body, or at least your chest. I've seen women with a fair face and tanned limbs, so they look like they're wearing a mask. "When buying foundation, try it on your jawline or, if possible, your entire face. Check the colour in natural sunlight before buying. The lighting in the store may be too harsh or too warm and will not give you an accurate analysis of the foundation colour. The right shade looks like your skin tone." Mr Goh Tee Guan: "When foundation oxidises because your skin is too greasy, your face could end up looking orange-y or darker. If your skin is dull, the foundation can make the skin look ashy. So use a sebum-controlling primer with colour-correcting properties. "And don't pile on foundation, especially two-way compact ones, as the make-up ends up cakey on skin. Use a fluffy face brush instead of a sponge for a lighter touch. "To give skin a glow and the face more dimension, use a skin-brightening primer, such as Shu Uemura's Stage Performer Glow Creator or M.A.C's Strobe Cream. Apply the glow primer on the bridge of the nose, under the eyes and cheekbones." 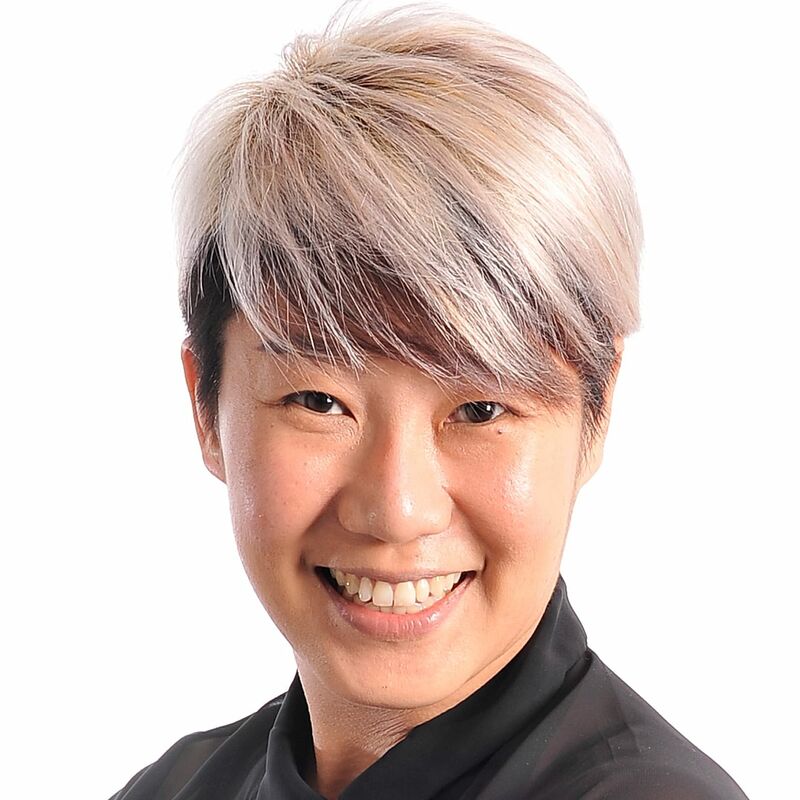 Ms Dollei Seah: "Many women think that when they wear bright red lips, they have to emphasise every other feature - the brows, cheeks and lips - on their face. The result is over-the-top and unflattering. "When you have bold red lips, the attention should remain on the lips. You can play up one other feature subtly. For example, skip the blusher and you can have bolder brows and mascara to go with the lips. Or natural-looking brows and cheeks, and simple eyeliner to go with the red lips." Mr Benedict Choo: "Women with single lids are often guilty of this. They apply a thick block of jet-black liquid eyeliner on and above their upper lashline to create the illusion of wider eyes. So when they blink or close their eyes, the lids look scary, ugly and strange. "To make the lines less stark, use black powder shadow to create a gradation from the lashline instead." Ms Dollei Seah: "When you apply eyeliner on your lower lashline, ensure that you fill the waterline (the wet strip of flesh between the eyeball and lashes) too. It is passe to leave the waterline bare. And always finish with mascara on the upper and lower lashes to make your eyes pop. "But that said, thick eyeliner, especially on the bottom lashes, can make eyes look smaller." Mr Clarence Lee: "I've turned down jobs from brands that sell iris-enlarging contact lenses because I hate this trend. "Such lenses make the eyes look so artificial. If you wear these lenses and go all out with wide-eyed dolly make-up, fine, because at least you're going for a look. "But if you wear these lenses without a stitch of make-up on, you look like an alien with enlarged irises. The proportion is all wrong and you look cross-eyed." Mr Goh Tee Guan: "What you wear on your nails should match your profession. "I've seen professionally dressed women who work in Shenton Way wear nail art in too many different tones, colours and bling. It's as though they had gone for a party and forgot to remove their make-up. "If you work in a corporate environment, your nails should be in a single colour." "They should at least wear a tinted sunscreen to even out their skin tone and a tinted lip balm to add a bit of colour to their faces. They can skip the foundation and concealer if they really have no time. When you have well- groomed brows, you don't have to wear eye make-up. "And please, dry your hair before leaving home." Mr Clarence Lee: "I don't understand why some women would go out with full eye make-up without mascara or even curling their lashes. The look is incomplete. Mascara makes a big difference to the look. "If you don't like to wear mascara, then dab some Vaseline on your lashes and curl them to open up the eyes. "Also, never leave the house with only pale-coloured foundation on, without defined brows, no eyeliner, no lipstick and no blusher - you will look like a ghost." Mr Benedict Choo: "It's awful when I see women with nice eye make-up and foundation, but who leave their lips looking flaky and dry. At least put on some lip balm or gloss to make your lips look moist." Mr Goh Tee Guan: "If you want to get lash extensions, you have to take care of them. Clean them gently with a damp cotton bud and maintain them regularly. "If not, don't do it. Because when they start to look sparse and droop, I think they impair your vision rather than make your eyes look wider." Mr Yuan Sng: "It's nice to have false lashes and extensions, but choose those that look natural. Not those which are very thick and jet-black with no space between the individual strands - unless you are going to be performing on stage."